24. 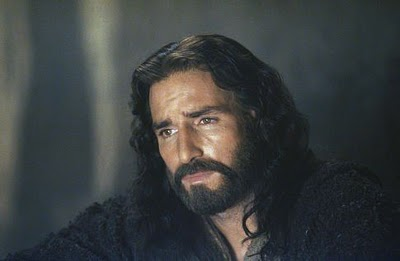 Không có Mễ Du tài tử Jim Caviezel sẽ không bao giờ đóng đưọc vai Chúa Giêsu trong phim "The Passion Of Christ"
memedu@dk đã đọc được bài viết về Tài Tử Jim Caviezel từ "www.medjugorje.hr". Anh đã được ân sũng của Mẹ Mễ Du và đã đóng vai Chúa Giêsu trong phim "The Passion Of Christ" ("Sự Thương Khó của Chúa Giêsu") . Phim nầy do Mel Gibson làm đạo diễn "The Passion Of Christ" ("Cuộc Thương Khó của Chúa Giêsu"). Bài viết nầy đã được Chị Kim Hà dịch lại tiếng Việt. Do đó memedu@dk sẽ đăng bài viết bằng anh ngữ trước và sau đó là bài dịch của Chị Kim Hà (source: "www.memaria.org"). Jim, could you tell us how you heard about Medjugorje? My wife was in Medjugorje while I was in Ireland during the filming of “Monte Christo”.Things were not going so well at the time, although I was working 7 days a week. She called me and at the tone of her voice I could feel that she had undergone a change. She began telling me about Medjugorje and that a visionary would come to Ireland. I interrupted her with these words: look, I have serious work to do. I cannot deal with visionaries just now. I thought that as a catholic I was not obliged to accept Fatima, Lourdes or Medjugorje at all costs. This was my thinking. I also remembered how my friends and I, who were going to a catholic school at the time, were enthusiastic about the events in Medjugorje, and as we heard that the local Bishop rejected the apparitions, declaring them not authentic, we had lost interest. The visionary Ivan Dragicevic from Medjugorje came to Ireland. It was clear to me that I would not have any time for him, as I had to work non-stop. But, then, on one Thursday, my filming partner Richard Harris did not feel well, and I was free for the rest of the day. Therefore I could assist at the apparition. I stood at the very back of the packed church and had no clear idea about what was going on here. At the moment of the apparition a man in a wheelchair fell to his knees, and I was very struck by that- I thought, this handicapped man, is kneeling on the cold stone floor, in spite of his incredible pain, and he is praying! Today I am aware that only God could know me so well as to know where I could be seized. As strange as it sounds, I was given free time again on the following Sunday and could meet the visionary Ivan, which had been the special desire of my wife. During the apparition I knelt next to him saying in my heart:” ok, here I am. I am ready. Do with me as you wish.” At the same moment I felt something filling me. It was so simple and yet so unique. When I got up, tears were streaming out of my eyes. I began crying with all of my heart. In the gentle light of the love which I began feeling in me, I began to recognize where I was standing, how many temptations I had, where my feelings were, how weak I was and how many people were condemned by me. When did you come to Medjugorje for the first time? I also did not understand this at the time. Now I was asking myself in a new way whether it was the will of God that I should become an actor in order to earn lots of money and to become rich. I was aware of the unbalance in the world between the few who possess much too much, and the many who have much too little to live, and I was sure that God did not want that and that we also had to make a decision whom we should serve: wealth which will not grant us eternal joy, or God who wishes to guide our lives. The four days in Medjugorje were like a breakthrough for me. In the beginning I was still surprised how much the people were praying here. I saw a similarity with a Basketball –camp, thinking that there you do not only play once a day, but again and again, continuously. After all, in school, we do not read just once a day, but all the time, again and again. During the first days in Medjugorje I felt restlessness within myself while praying, as I was not used to praying so much, and I asked God to help me. After four days, all I wanted to do is pray. Every time I prayed I felt united to God. This is an experience I could only wish for every catholic to make. Perhaps, as a child I had such an experience, but had forgotten it. Now it had been given to me. “Look, if you do not believe in radiation, go to Tschernobyl and stay there for 5 days. You will see that your hair starts falling out. These are the consequences of radioactive radiation. In Medjugorje there is a radiation from heaven, in which thousands of people convert and Generations of sinners melt. It is an irradiation of the Holy Spirit which leads people to prayer, daily Holy Mass and to Adoration of the Blessed Sacrament. This experience lasts, also at home. In my family we live the Sacraments together. With my children I pray the rosary every day on the way to school. If I do not start at once, my son begins to pray. When I came to Medjugorje for the second time, I was looking to have the same experience as during my first visit. This time it was different. After a lunch, some pilgrims invited me to go with them to Siroki Brijeg to meet Father Jozo. This was the special desire of my wife. I did not know Father Jozo, but what I heard him say, touched me very much. I went up to him, he put his hand on my shoulder, which I also did to him. He laid his hands on my head, which I also did to him. In that moment I felt these words in my heart: “I love you brother. This man loves Jesus.” Father Jozo spontaneously turned to his interpreter, asked her in Croatian who I was and that he wished to speak to me. This was the beginning of a friendship which lasts until today. At that time, I had just completed the filming of the “Passion of Christ” and repeatedly had the experience how different powers tried to keep me from doing that movie. Can you tell us, why you had this experience, and which is the link between the film and Medjugorje? Probably you know the saying” crossing the Rubicon” – it means that there is no turning back. The film “The Passion of Christ “is something like that for me. When I heard Pope John Paul II say that we need not be afraid, I thought that I was without fear in any case, and that I was doing well. During the filming of the “The Passion of Christ” I began to understand that Jesus is more controversial than ever before. Some colleagues prophesied me that I would loose everything through that film, my carrier, my money, perhaps my family or my life. I was 33 years old when the work for the film began; I was the same age as Jesus when He lived the Passion. Repeatedly I doubted whether I was worthy to interpret Jesus. Ivan Dragicevic encouraged me telling me that God doesn’t always choose the best, and that he saw that with himself. Without Medjugorje I would never have acted that role, as there, my heart opened to prayer and to the sacraments. I knew I had to be very close to Jesus if I wanted to act him. Everyday I went to confession and to Eucharistic Adoration. Mel Gibson also came to Holy Mass under the condition it would be celebrated in Latin. This was good for me, as I also learnt Latin that way. As the rosary was constantly prayed,- I don’t know how many rosaries I prayed during the film- a special atmosphere was created. I knew that I was not to use swear words or let myself go, if I wanted to transmit something to the team. Most of them did not know Medjugorje, they were great actors, and we were happy to have them. How else could I transmit Medjugorje to them if not by my life? For me Medjugorje means to live of the Sacraments, in unity with the Church. I began to believe through Medjugorje, that Jesus is truly present in the Holy Eucharist, and that He forgives me my sins. Through Medjugorje I experience how powerful the prayer of the rosary really is, and what a gift daily Mass represents. How can I help people to believe more in Jesus? I understood that this can happen when Jesus is in me through the Eucharist, and that people see Jesus through my life. When the scene of the last supper was filmed, I carried relics of Saints and a small piece of the cross of Christ in special pockets of my robe. I so wished Jesus to be wholly present, and therefore asked a priest to expose the Blessed Sacrament. First he did not want to, but I insisted, because I was convinced that while looking at Jesus people would recognize Him better in me. The priest stood just behind the cameraman, with the Blessed Sacrament in his hands, and together with Him he came close to me. When people see the shine in my eyes in the film, they do not realize that they are seeing Jesus, the reflexion of the consecrated host in my pupils. This is how it happened during the scene of the crucifixion,: the priest was present , holding the Blessed Sacrament in his hands , while I prayed unceasingly. The greatest challenge in the film were not as expected the learning of texts in Latin, Aramaic and Hebrew, but rather the physical hardships that had to be endured. During the last scene I had a dislocated shoulder which jumped out every time the cross was hit. During the scourging I had been hit by the scourges twice, and had a 14cm long wound on my back, my lungs were full of fluid, and I had pneumonia. In addition to that the chronic lack of sleep was tangible: For months I had to get up at 3 am on a daily basis, as the make up alone took 8 hours. During the very last picture the clouds were hanging very low and a lightning struck the cross on which I was attached. Suddenly all was silent around me and I felt that my hair was standing up on my head. About 250 people who were standing around me saw my body lighten up and a fire burning at the right hand side as well as at the left hand side of my head. Many were shocked by what they had seen. I know that “The Passion of Christ” is one great film of Love. Jesus today, is more controversial as never before. There are many possible ways to destroy humanity by means of nuclear weapons, biological weapons, but I believe in Jesus and I trust in Him. This is the source of my joy. I think that God is calling us in a special way these days and that we need to give an answer - in our heart and in our Life. Tính đến tháng 2 năm 2010 thì tài từ Jim Caviezel vốn là diễn viên chính trong phim The Passion of The Christ đã hành hương đến Medjugorje được 6 lần. Sau đó, anh sang Vienna, nước Áo để trả lòi cuộc phỏng vấn với tạp chí Oase des Freidens. Bản dịch bằng tiếng Croatian được in trong tạp chí Slasnik Mira của giáo xứ Medjugorje. Hỏi: Chào anh Jim, xin anh vui lòng cho chúng tôi biết bằng cách nào mà anh nghe nói về Medjugorje ? Ngoài ra tôi nghĩ mình là người Công Giáo thì không cần phải chấp nhận Lộ Đức, Fatima hay Medjugorje. Đó là điều mà tôi nghĩ. Tôi nhớ khi còn nhỏ khi học một trường Công Giáo, mỗi khi chúng tôi nghe nói về Medjugorje thì lòng chúng tôi rộn ràng thích thú nhưng khi biết rằng vị giám mục điạ phương không chấp nhận thì chúng tôi mất ngay ý thích ấy. Thị nhân Ivan Dragicevic đến Ái Nhĩ Lan và tôi biết ngay là tôi không có thì giờ để đến với anh ấy vì lẽ công việc làm tôi bận rộn cả ngày. Một ngày kia có bạn đồng nghiệp của tôi là anh Jim Harris không được khỏe nên tôi có được một ngày nghỉ và tôi có thể đến dự một buổi Đức Mẹ Maria hiện ra với thị nhân Ivan. Tôi đứng ở phía sau của một ngôi nhà thờ chật ních đầy người và tôi không biết điều gì sẽ xẩy ra nhưng khi thấy một người đàn ông ngồi trên xe lăn bỗng dưng quỳ xuống trong lúc Đức Mẹ Maria hiện ra thì lòng tôi cảm động sâu xa. Tôi suy nghĩ về người tàn tật ấy. Ông ta dù đang đau đớn mà dám quỳ xuống trên nền đá lạnh lẽo và cầu nguyện! Giờ đây tôi biết rằng chỉ có Thiên Chúa là Đấng biết rất rõ về tôi và Ngài biết rằng Ngài cần đụng chạm tôi ở đâu để làm cho tôi chú ý! Ngay trong phút ấy, tôi cảm thấy một điều gì đó sung mãn dâng tràn trong tâm hồn. Điều ấy thật đơn giản và đặc biệt. Khi tôi đứng lên, nước mắt tôi chẩy dài trên má và tôi bắt đầu khóc với trọn trái tim. Ngay lúc ấy, cánh cửa trái tim tôi được mở rộng ra. Tôi không thể mơ được chuyện ấy. Chúng tôi đi vào một nhà hàng ăn và tôi phải nhận rằng rượu và thức ăn mà chúng tôi dùng trong đêm hôm ấy thật là ngon lành. Trong ánh sáng nồng ấm của tình yêu mà tôi cảm nhận trong trái tim mình, tôi có thể cảm thấy rằng mình đã ở đâu, mình đã có những cám dỗ gì, tình cảm của mình ở đâu, tôi đã yếu đuối ra sao và tôi đã phán xét người ta nặng nề như thế nào. Hỏi: Anh đến Medjugorje lần đầu vào khi nào? Thế là lúc ấy, tôi không hiểu mình phải làm điều gì cho tương lai. Và tôi vẫn cứ tự hỏi mình về câu hỏi ấy. Liệu Chúa có muốn tôi trở nên một tài tử kiếm được nhiều tiền và trở thành giàu sang hay không? Tôi đã nhận thấy sự thiếu quân bình của thế giới giữa những người có rất nhiều tiền và những người nghèo không có đủ tiền để mà sinh sống, và tôi biết rằng đó là điều Chúa không muốn. Vậy tôi nên chọn lựa đi tìm sự giầu sang nhưng không có hạnh phúc vĩnh cửu hày là phục vụ Chúa là Đấng muốn hướng dẫn đời tôi? Bốn ngày mà tôi được sống ở Medjugorje là bước ngoặt của đời tôi. Lúc đầu, tôi rất ngạc nhiên về việc người ta cầu nguyện rất nhiều ở Medjugorje. Mọi sự nhắc nhở cho tôi về một trại chơi bóng rổ. Tại nơi ấy, ta không chỉ chơi một trận đấu mỗi ngày nhưng tiếp tục chơi liên tiếp. Ở trong trường học cũng thế vì ở đấy ta không chỉ đọc mỗi một lần nhưng luôn lập đi lập lại. Trong những ngày ở Medjugorje tôi cảm thấy có một sự thúc bách và bất an bên trong linh hồn khi tôi cầu nguyện bởi vì tôi không có thói quen cầu nguyện nhiều như thế, và tôi xin Chúa giúp đỡ cho tôi. Sau 4 ngày thì tôi thấy chỉ có một điều mà tôi muốn làm là cầu nguyện mà thôi. Bất cứ lúc nào cầu nguyện thì tôi cảm thấy mình liên kết với Thiên Chúa. Đó là cảm nghiệm mà tôi muốn thấy xẩy ra cho mỗi một người Công Giáo. Có lẽ khi còn là trẻ thơ, tôi có cảm tưởng tương tự như thế mà tôi lại quên mất. Giờ đây, cảm nghiệm ấy lại xẩy ra với tôi lần nữa. Khi về đến quê nhà thì tôi vẫn có cảm tưởng như thế. Trong gia đình, chúng tôi sống các bí tích với nhau. Khi đưa đón con cái đi học, chúng tôi cầu nguyện chuỗi Mân Côi chung. Đôi khi tôi không bắt đầu đọc kinh nhưng con trai tôi bắt đầu đọc trước. Lúc tôi đến Medjugorje lần thứ hai thì tôi kỳ vọng có những cảm nghiệm như trước lần nữa nhưng lần này thì khác. Bỗng dưng, cha Jozo tự động quay mặt về phía người thông dịch viên của cha và hỏi bà ấy rằng tôi là ai, rồi ngài nói rằng ngài muốn nói chuyện với tôi. Đó là bước đầu của một tình bạn lâu dài. Đó là thời kỳ xẩy ra ngay sau khi chúng tôi đóng phim The Passion of The Christ (Cuộc Khổ Nạn Chúa KiTô). Cũng trong thời gian ấy, tôi cảm nghiệm được những lực lượng đối kháng nhau xẩy ra trong tâm hồn tôi về cuốn phim ấy.